On Oct. 26th, American Iron assembled the WolffKran W8033.20 on the site in West Chester. 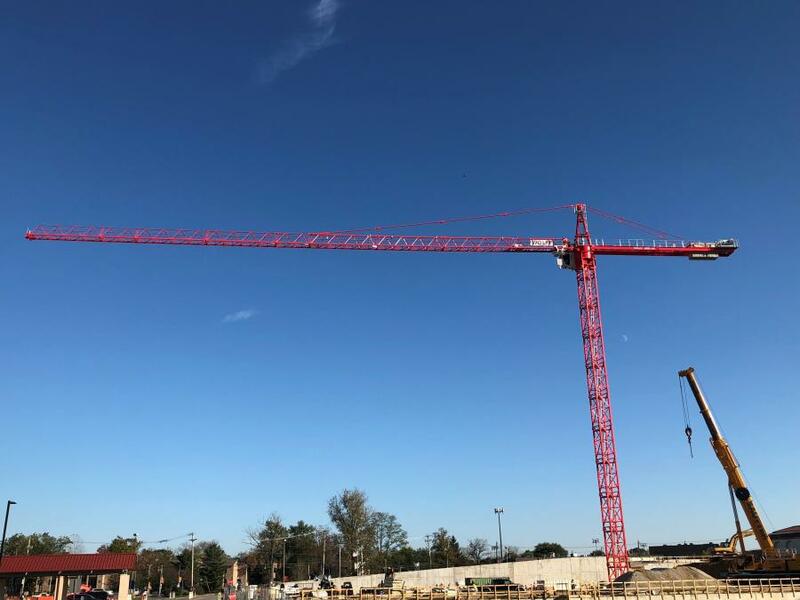 American Crane and Rigging has purchased a WolffKran W8033.20 from Empire Crane Co., LLC, based in Syracuse, N.Y. For its first job, it has been rented by American Iron Inc. to build the 2100-ton structural steel, $120 million addition to the Hospital of the University of Pennsylvania located in West Chester, Pa. They expect the addition to be completed in 2018. On Oct. 26th, American Iron assembled the WolffKran W8033.20 on the site in West Chester. A crawler crane was not an option for the job because of the tight jobsite. The W8033.20 also provides a quick setup (only 2 days), has over 300-ft. height and 262-ft. jib. For their current job, they only needed to set the crane up to have 151 ft. of tower. American Crane & Rigging (est. 2006) and its sister company, American Iron Inc., (est. 2003) are New England's premier steel erectors specializing in setting steel at hospitals, schools, jails, convention centers and more. Both companies were founded by Mike Hoy, and are located in Schenectady, N.Y. 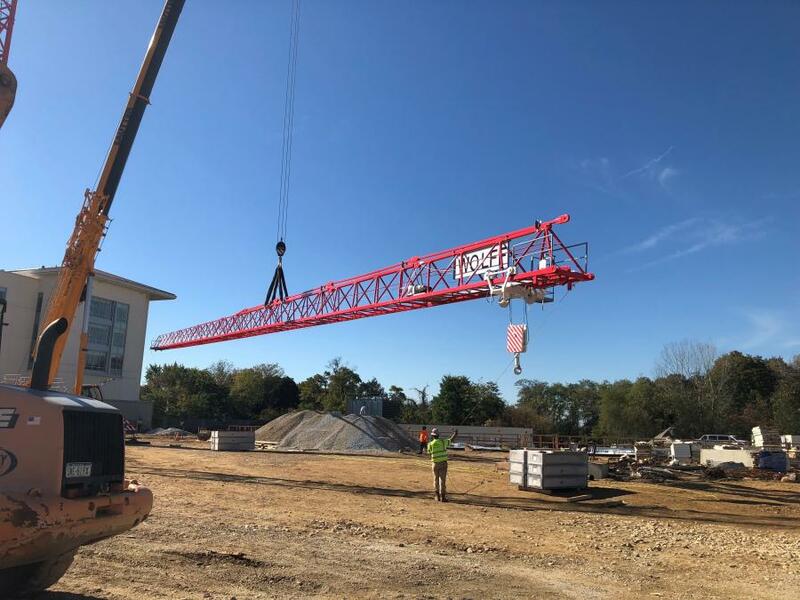 Empire Crane Company was founded by Paul & Luke Lonergan in 2002. 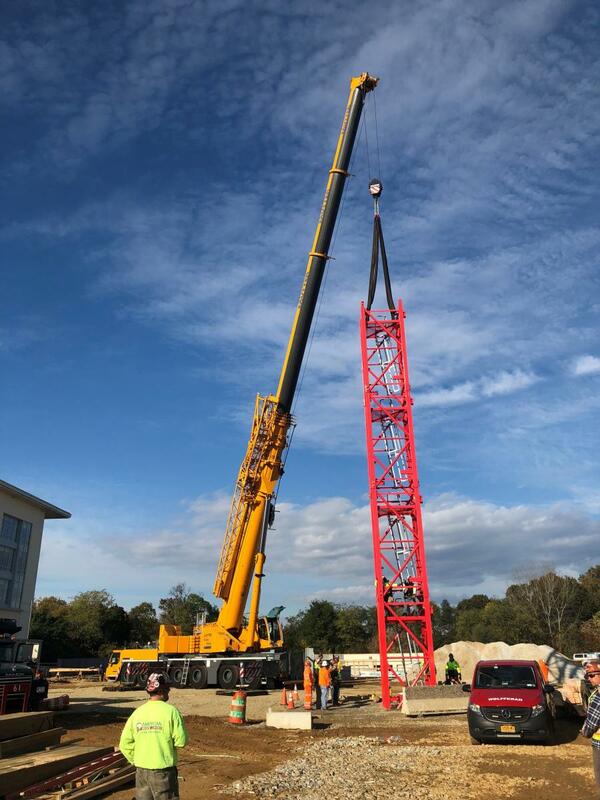 They are an authorized dealer for Terex, Tadano Mantis, Kobelco Crawler Cranes, Shuttlelift carry deck cranes, Manitex Boom Trucks, Wolffkran Tower Cranes and Magni Telehandlers. Empire Crane offers sales, parts, and service at their offices in Syracuse N.Y., Bridgewater N.J., and Boston.